Rudisill/Fairfield Park is located at the intersection of Fairfield Avenue and Rudisill Boulevard. For more detailed location information, check out the General Park Map or Driving Directions. 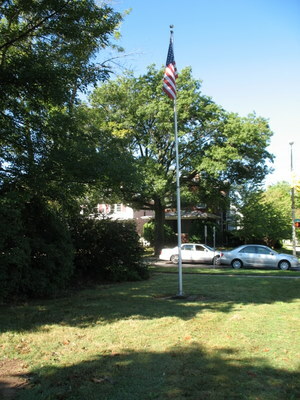 The park was dedicated as Rudisill Mini Park on May 15, 1976. Speakers included Mayor Robert Armstrong. There was a presentation of both flag and colors and included music from the Bishop Luers High School Band. This park is in an area of natural open space at the intersection of two major roads. A park bench is conveniently located for those who want to relax.